After a phone call on Friday with Dr. Shah, Director of the Illinois Department of Public Health, Rep. Ryan Spain is sharing important information about the risk of synthetic cannabinoid products. Dozens of people in Illinois, including two who died, have experienced severe bleeding, such as coughing up blood, blood in the urine, severe bloody nose, and/or bleeding gums, after using synthetic cannabinoids. 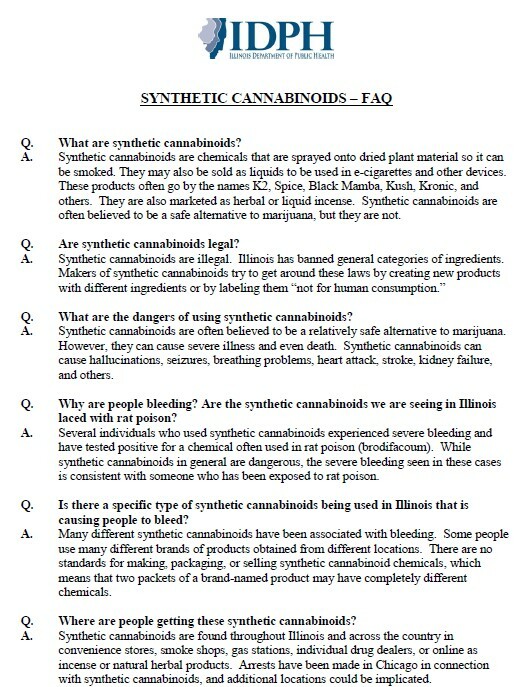 The Illinois Department of Public Health strongly urges everyone NOT to use synthetic cannabinoids. 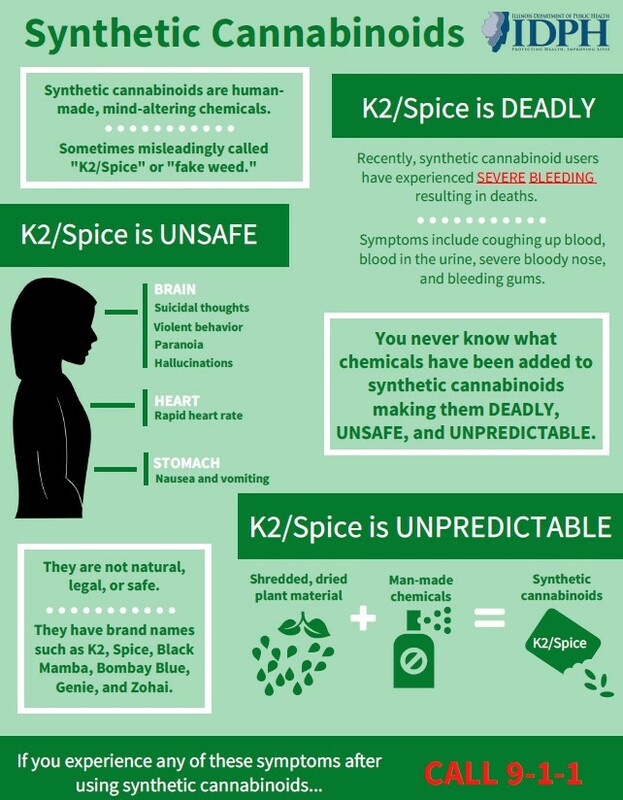 Synthetic cannabinoids are human-made, mind-altering chemicals that are either sprayed on dried, shredded plant material so they can be smoked or sold as liquids to be vaporized and inhaled in e-cigarettes and other device. They are not safe and can be unpredictable, dangerous, or even life-threatening.